Former skipper and wicket-keeper batsman MS Dhoni was seen practising at the nets ahead of the fourth ODI against Kane Williamson's men at Seddon Park, Hamilton. Team India registered a comfortable eight-wicket victory (DLS method) over the hosts in the first ODI at McLean Park, Napier- courtesy an excellent display of bowling from Kuldeep Yadav, Mohammed Shami and Yuzvendra Chahal. After dismissing the Black Caps for 157 runs, the Men in Blue chased down the target in just 34.5 overs for the loss of two wickets. After Rohit Sharma's early dismissal, Shikhar Dhawan and Virat Kohli made the major contributions with the willow for the visitors, amassing 75* off 103 balls and 45 off 59 balls respectively. Already 1-0 up, skipper Kohli opted to bat first after winning the toss at Mount Maunganui in the second ODI. India made good use of the excellent batting conditions and piled on 324 runs in 50 overs. Chasing 325 to level the series, New Zealand fell short of the target by 90 runs. The third ODI witnessed India making two changes (Dinesh Karthik in for MS Dhoni and Hardik Pandya in for Vijay Shankar) to their XI. Kohli's men chased down the target of 244 in just 43 overs, thereby clinching the series, and the game by seven wickets. The good news for Indian fans is that MS Dhoni, who missed the third ODI, was seen hitting the nets ahead of the Hamilton ODI, and is likely to return to the XI. 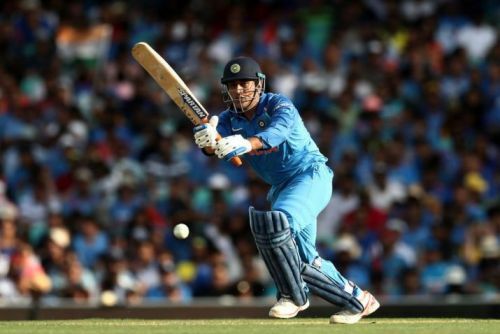 Dhoni has started off 2019 on a high, amassing three half-centuries against Australia, and 48* in the second ODI against New Zealand. Rohit Sharma will be leading the side for the fourth and fifth games as well as the T20Is, since Virat Kohli has been rested. Young Shubman Gill, who won the under-19 World Cup in New Zealand last year is most likely to make his ODI debut at Hamilton due to Kohli's unavailability. Having sealed the series already, India might be tempted to test their bench strength. Expect more changes to the Indian XI at Seddon Park. Follow Sportskeeda for all the updates on Cricket news, schedule, points table, live scores, fantasy cricket tips and stats.